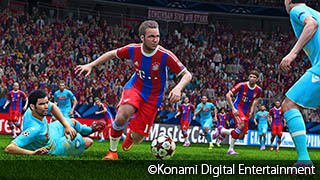 We finally got an official confirmation about the release of PES 2015 on the PC platform! 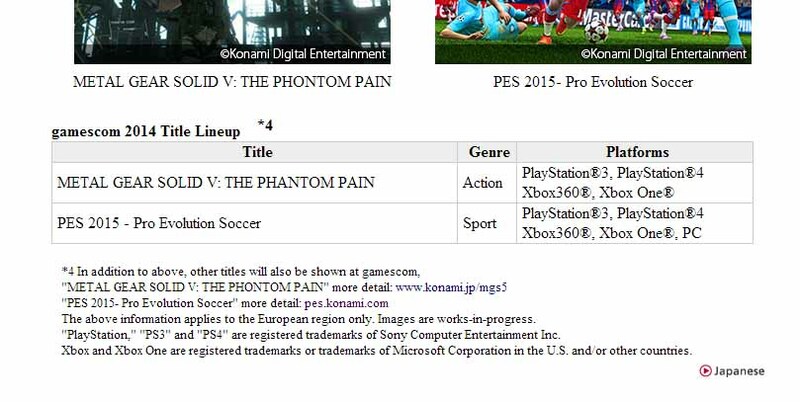 Even though the PES 2015 PC version was available to pre-order from all major retailers, Konami so far did not mention it in any of their releases. In a new press release detailing their Gamescom 2014 lineup, Konami now finally confirmed the release of PES 2015 for PC. They also released a new (small) image showing Mario Götze in a Champions League match agains Napoli.